Just like pumpkin pie in a mug! Pumpkin Spice White Hot Chocolate is a deliciously thick and decadent fall drink that does not include coffee – keep it on warm in a slow cooker for a party! Perfect for a chilly fall evening! This hot chocolate recipe had me at Pumpkin….then I was sold after I read White Hot Chocolate! 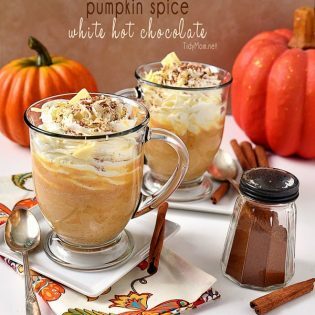 I’m a sucker for the Pumpkin Spice Latte’s at Starbucks so this recipe really caught my eye. It’s a delicious hot drink that does not include coffee, so it’s the perfect treat for the the non coffee drinkers and children! I think I will be sipping one of these on Halloween night, awaiting the onslaught of trick-or-treaters. It would also be perfect at Thanksgiving or just any cold night snuggled up by the fire! Just like pumpkin pie in a mug! To store, let cool, cover, and refrigerate. Reheat to serve. Recipe can easily be doubled. Slightly adapted from Closet Cooking. 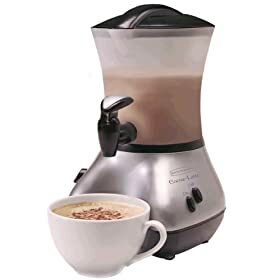 ** We used our Cocoa Latte Maker (affiliate) to make this and it turned out terrific! We sipped these while we watched the Cardinals win the first game of the World Series……we may need to drink them each game night to keep the luck going!! GO BIRDS! Yep, you had me at “pumpkin” too! This sounds wonderful!! Oh yummmm! 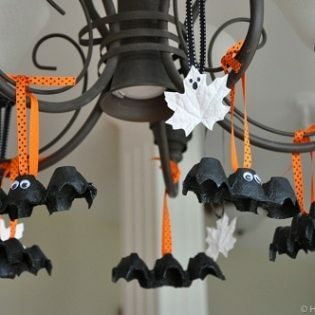 Pinning immediately. Thanks for sharing, Cheryl! This looks fabulous. I love the little collage. Your pictures are always an inspiration, Cheryl. Great work! Thanks for the great linky party. You always inspire me with all you are organizing and cooking! Thanks! That looks and sounds so yummy! What a great photo! Oh yum Cheryl, definitely trying this one!!!!!!! Dessert in a cup-yes, I will have two! Great idea and great recipe! YUM! I need some this morning. Ooohhh YUM! I could go for a cup of that right now! I love your Cocoa Latte Maker, I think I need to ask Santa for one of those! Thanks for hosting! That hot chocolate looks amazing! Wow – you could make a really over the top breakfast with your hot chocolate and my favorite breakfast cookies :). Too much? Love this! I’ll make it this weekend for the kids! Love the photography. I feel as if I can drink the hot chocolate from my computer screen! So pretty! I bet it tastes and smells incredible, too. Yum! I need to take a few FOOD staging tips from YOU! Looks like something in a magazine! It didn’t turn out like this! Thank you so much for sharing the recipe and hosting this fun party! Oh wow! This looks so yummy! I despise coffee and long to look like an adult drinking something more than hot chocolate! LOL!!! 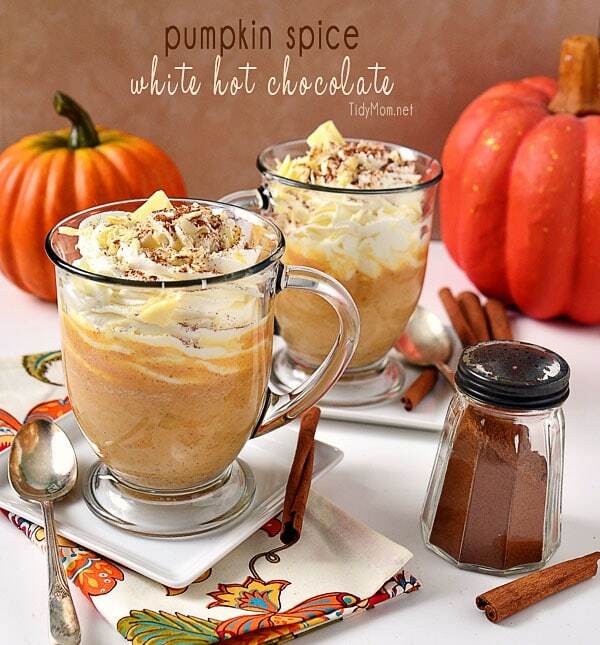 Looking forward to curling up with my laptop while my twins are playing and enjoying a cup of this delicious Pumpkin Spice White Hot Chocolate while checking out all these amazing links being shared! This recipe had me at pumpkin too! I just made an at home pumpkin spiced latte the other day but never thought about adding hot chocolate. Sounds amazing! I’m definitely trying this one. Pumpkin pie in a mug sounds excellent! I’m not a coffee drinker so this is perfect for me. I LOVE anything pumpkin, but sadly can’t have the chocolate in this (diabetic). However, I think I am going to try it and substitute Coffee Bean & Tea Leaf No Sugar Added Vanilla Powder for the white chocolate (that stuff is pretty amazing). It won’t be quite the same, but still… PUMPKIN! Thanks for the recipe idea!! Wow. These look SO GOOD. This time of year I live for pumpkin lattes. I didn’t know there was a latte machine out there, how cool! Your photographs of this drink make it absolutely irresistible! Have a lovely weekend Cheryl. This recipe sounds delicious! 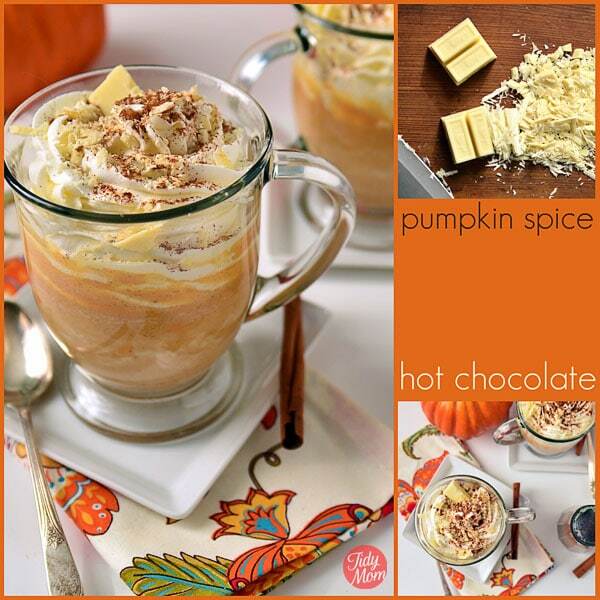 I must try it this week, I love pumpkin. I also shared your post on my blog for DIY hot cocoa recipes. Your pics make this recipe look to die for! Cheryl that looks absolutely incredible. Pinned it, but I’m pretty sure I don’t need it pinned, because I’m not going to be able to get it out of my head until I get a chance to make it. Thanks! This looks amazing! I love Hot Chocolate and can’t wait for the full season to be upon us! I am going to have to try this out! This hot chocolate is amazing! I just made it as a surprise dessert for my husband and we’re hooked! It was so easy and he couldn’t figure out what was in it, so the guessing game was fun. My 2 year old son even got a tast and said “Gooood” So cute! Thanks for this, it will be a fall staple. This hot chocolate is delicious! My family members and I loved to have it in winter. Thanks for sharing! Och! I drank it and I am delighted. Thank You for the recipe.